A block of the films nominated for Best Short Film (Animated) at this year's Academy Awards, along with some additional films. A block of the films nominated for Best Short Film (Animated) at this year's Academy Awards, along with some additional short animated films. A group of five animals with emotional and psychological problems meets for therapy with compassionate canine Dr. Clement. Their group dynamic is rattled by a new member, Victor, a gorilla with anger management issues who believes that talking cannot change someone's innate tendencies. 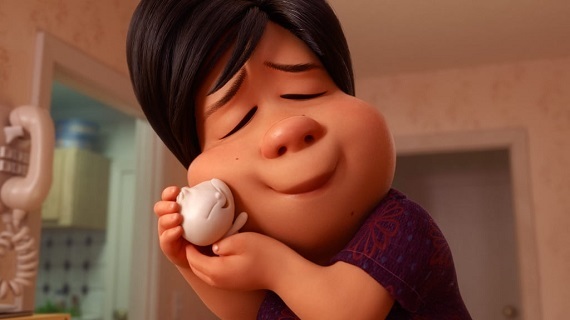 A lonely Chinese mother suffering from empty nest syndrome is thrilled to become a parent again when one of her homemade dumplings comes to life. As Dumpling grows, however, the inevitable conflicts between parent and child arise and Mom must acknowledge that no one stays little forever. Emily, an elderly lady with dementia, is increasingly alienated from the world around her. Whenever she sees her reflection, Emily wanders through memories of her childhood and young adulthood, and thereby attempts to use her past to reconnect with the present. Bolstered by the unwavering support of her devoted father, a humble cobbler, Luna Chu grows up determined to become an astronaut. Although she is sometimes daunted by the obstacles she faces, Luna always shoots for the stars. After his parents split up, a young boy must adjust to living with his mother during the week and his father during the weekend. Their new routine is difficult on all of the family members, but is especially confusing to the youngster as his parents move on with their lives without each other.